I'd taken ThingOne out into Cambridge on the bike for the day, partly to get her away from her little sister howling in pain. In contrast to the little one, ThingOne had a great time. 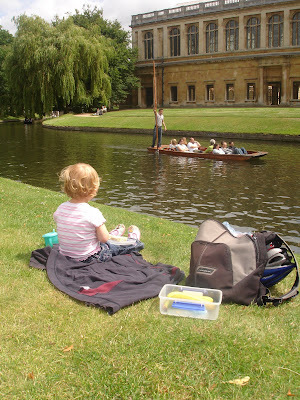 We had a picnic by the Cam. It's odd that she's not done this yet at two and a half (well, not since we could talk to her about punts and geese and have her understand). She also got to go on a carousel at a fair on Parker's Piece. Such a shame that ThingTwo and Anne weren't able to come. 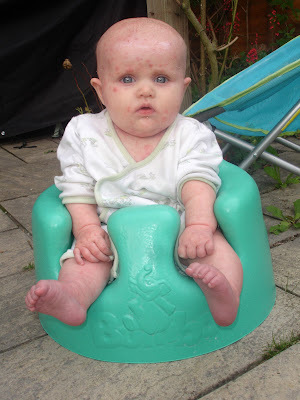 I felt bad when I got home to find Anne had had to rush to the doctors.